Club Baseball took on Long Island rival Stony Brook University in a doubleheader on Saturday, September 22nd at Wantagh Park. 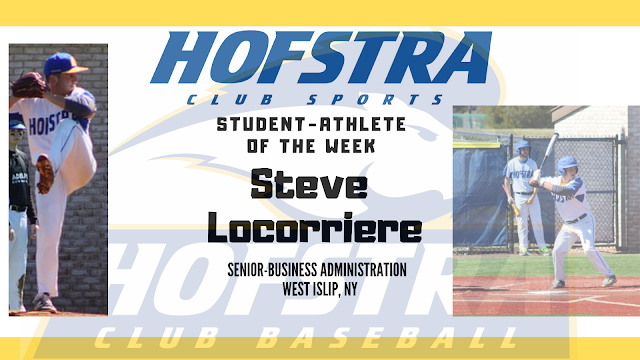 The teams would split the doubleheader, with Hofstra claiming a 7-2 victory in game one behind the strong pitching of Steve Locorriere. Despite dropping game two to the Seawolves by a score of 8-1, pitcher Brandon Santos’ performance was a highlight for the Pride, as he struck out 7 of the 8 batters he faced. Club Ice Hockey traveled to Wayne, New Jersey to take on Ramapo College on Sunday, September 23rd. 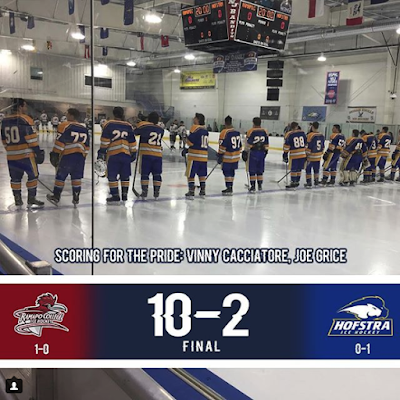 Despite goals from Vinny Cacciatore and Joe Grice, it would not be Hofstra’s night, as the Roadrunners cruised to a 10-2 victory. The Pride will now turn their focus on their home opener on Friday, October 5th at 9:45pm at the Northwell Health Ice Center at Eisenhower Park. Hofstra fell by a score of 10-2 against Ramapo College on Sunday, September 23rd. 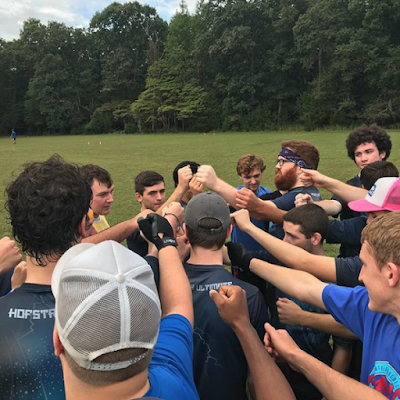 Club Women’s Ultimate Frisbee began the season in Elmer, New Jersey as a part of the Jersey Devil Tournament on Saturday, September 22nd and Sunday, September 23rd, posting a 1-5 record over the course of the weekend. In the team’s 9-3 victory over Rowan University, Haley McPartland fueled the Pride with 4 goals, Jess Siskind had 3, and Lauren Small and Kathleen Brussell each added a goal. Club Men’s Ultimate Frisbee also participated in the Jersey Devil tournament, compiling a 2-4 record over the weekend. Tyler McCarthy stood out for Hofstra, as he posted a Callahan in the team’s loss to Rowan University. A Callahan is when a defensive player intercepts the disc in the opponent's end zone for a point. It is a rare occurrence, because it requires a defender to intercept, rather than simply block, a pass in the offense's own end zone. Hofstra Club Men's Ultimate Frisbee prepares to take the field at the Jersey Devil Tournament on Saturday, September 22nd. 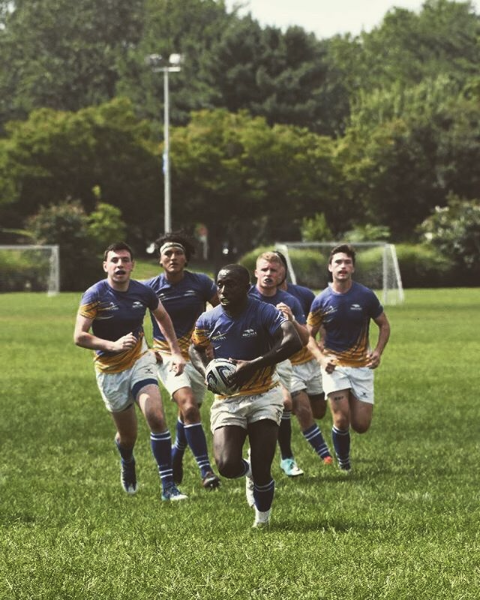 Club Men’s Rugby hosted their final home match of the season on Sunday, September 23rd against TCNJ. With strong playoff seeding implications, Hofstra was able to jump to an early 21-7 lead behind tries from Jamel Hughes, Ray Brown, and Javon Hanson. In the second half, Hofstra began to sputter, allowing TCNJ cut the deficit to 28-26. Ray Brown would add two more tries to extend Hofstra’s lead to 38-26, but ultimately Hofstra could not close out the game and lost on the final play of the game by a score of 40-38. Hofstra will travel to Rockville Centre to take on Molloy College on Sunday, September 30th. A Hofstra cavalry heads down the pitch during the team's heartbreaking loss to TCNJ on Sunday, September 23rd. Club Women’s Rugby hosted the University of New Haven on Sunday, September 23rd. Although the Pride showed significant improvement from previous weeks, they would ultimately falter to the Chargers by a score of 64-7. Hofstra will travel to Manhattanville College on Sunday, September 30th to take on the Valiants. Club Quidditch traveled to Buccleuch Park in New Brunswick, New Jersey on Saturday, September 22nd for their first tournament of the season. Hofstra recorded a 2-1 record on the day, posting wins over Rutgers University and Macaulay Honors College. Jonathon Fidis and Stephen Daly were the leading scorers of the tournament for Hofstra. Club Rock Climbing had 30 members attend their climb at Brooklyn Boulders on Saturday, September 22nd. The club was encouraged by the commitment of the new members. 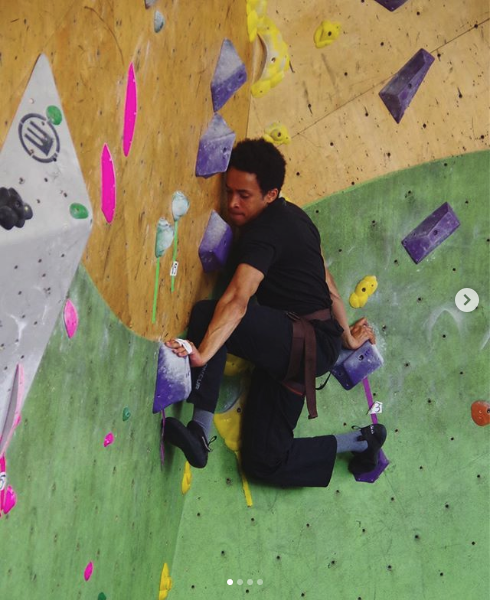 Club Rock Climbing enjoyed another successful trip to Brooklyn Boulder on Saturday, September 22nd. Locorriere pitched 4 shutout innings to earn the win in the Pride's 7-2 victory over Stony Brook University. Hofstra’s 25 Club Sports are always looking for new members and welcome all experience levels. If you would like to find out more information about joining one of our clubs, please visit hofstra.edu/recreation and click on the ‘Club Sports’ tab, or feel free to visit us at the Hofstra Fitness Center with any questions you may have!